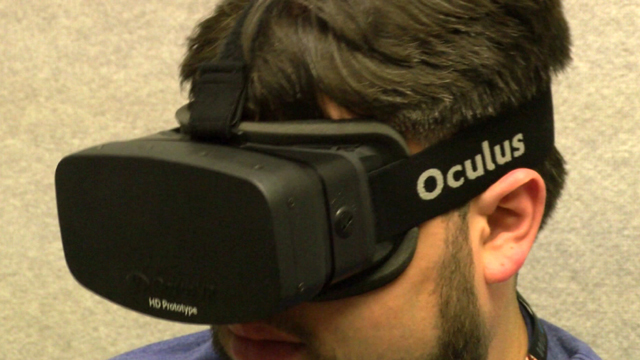 The start-up’s flagship product, the Oculus Rift, is a goggle-like “immersive” headset for video gaming. Facebook’s boss, Mark Zuckerberg, said Oculus’ technologies could “change the way we work, play and communicate”. In a statement released on Tuesday, Facebook said it plans to expand the use of Oculus technologies to include “communications, media and entertainment, education and other areas”. Oculus’ crowdfunding campaign raised $2.4m (£1.5m), 10 times the amount originally sought. It subsequently received a further $75m from investors. The Rift headset was widely heralded at the CES technology show in Las Vegas in January, where Sony also announced a rival product. The deal includes $400m in cash and just over 23 million Facebook shares, valued at $1.6bn. Oculus employees will also receive an additional $300m if the company achieves certain targets. It is the latest purchase for Facebook, which last month spent $19bn on mobile messaging platform WhatsApp.